Despite India’s impressive economic growth rates in the mid-2000s, the long-term magnitude and sustainability of this progress remains uncertain. Gulzar Natarajan joined the Indian Administrative Service, the elite tier of the Indian bureaucracy, in 1999 and was, until very recently, working as a director in the Office of the Prime Minister of India. These hurdles must be seen in light of favorable tailwinds such as low commodity prices, China’s economic slowdown, and India’s relative attractiveness as an investment destination. Embrace a feasible growth model. Lasting economic progress is best achieved by realistically assessing India’s structural impediments and growth potential. The government must accept that sustained growth rates of 8 percent or more are likely out of reach, and it should resist short-term growth strategies that rely on bubbles and fads by instead promising less and delivering more. The government should vigilantly steer clear of both state-led import substitution and overreliance on market-based policy prescriptions. Prioritize growth-friendly policies. The Indian government should pursue reforms in the areas of higher and lower education; urban governance; housing, land, credit, and labor markets; and infrastructure contracting. It should also seek to shrink the informal economy and expand the tax base, while also improving state capacity and personnel management. Foster greater federalism. Indian states should be allowed to engage both cooperatively and competitively with the central government and with each other. Proactive bottom-up actions by state governments will be needed to effectively scale up the fragmented agricultural sector and industrial production. Depending upon how one describes or even defines growth, things change in how they are written. I personally would describe growth as a state's welfare schemes matching its salary structure it envisages for its employees - given that public funds give those salaries from the tax-payers' money. Obvious enough comparison since the state's salaries from state or government jobs can only occur around the state's cognition of the basic financial needs for a life with dignity. Given that welfare schemes are all about the same - differences occurring in welfare payments can be more - say unemployment benefits - when government jobs/salaries will show differences based upon role-responsibility parameters. This scenario of course envisages a functional state and not dysfunctional ones like India where this very cognition never seems to have occurred to its primitive populaces or their leaderships or even its educated elites! But given it being a South Asian state - China comes to one's mind as easier comparison with India over cognition and conceptions about growth. One supposes that India fails miserably again to begin discussions about and over concepts of growth - except corruption (crime-terror need mentioned separately for the Indians or will invite umbrage & violence - including economic ones) and the population. Outside these two - one doubts if the Indians have any scarce cognition of the meaning of the term politics, state and governance. Never did. Given what it considers growth - well, the basic parameters I have suggested including cognition stump it again. 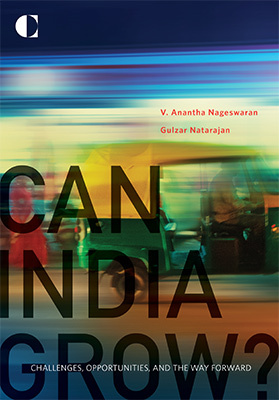 Yes It CAN: India Can Grow: Why Couldn't IT?